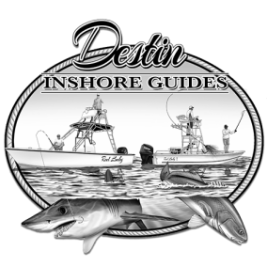 What is provided by Destin Inshore Guides on my fishing trip? We provide top quality rods and reels, fishing license for your entire group, bait, ice, tackle and fish cleaning service. Sunblock, small cooler with food and drinks, sunglasses, hat, camera to capture your memories of a lifetime, insect repellent, jacket on cooler days, and a good attitude ready to have fun. What should I wear on our trip? Depending on what time of the year shorts, tank tops, bathing suits, short sleeves in the summer and layer up in the cooler months. Plenty of storage so you can always take layers off. What are we going to catch? It always varies depending on the time of the year but one thing is for sure: memories of a lifetime! Can you eat the fish? 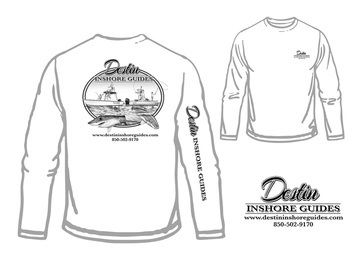 Destin Inshore Guides promotes catch and release but whatever you catch that is within regulations, you may keep. At the end of the fishing trip, fish cleaning service is provided at no additional charge. When is payment due and what forms of payment do you take? A $250 reservation fee is due at the time of reservation to reserve your guide via a Visa, MasterCard, Discover, or Check. If for any reason you have to cancel your reservation the reservation fee is refundable as long as you cancel at least 30 days from your reserved date. The balance due will be paid to the captain on the day of your trip. The reservation fee will be completely refunded if your trip is canceled due to weather or mechanical failure. Weather cancellations are at the discretion of the captain. In the event of not showing up for your reserved time, the reservation fee will be forfeited. How long will my fishing trip last? Destin Inshore Guides offer 4-6hr Morning or afternoon fishing trips and also offer shorter 2-3hr Specialized Kids Trips for the young ones. Weather cancellations are at the discretion of the captain and if your guide is canceled due to weather your reservation fee will be refunded or Destin Inshore Guides will reschedule your guide if possible. Cancellation is required at least 30 days prior the scheduled guide to receive a refund on your reservation fee.